WELCOME TO P.A.C.E. at OCES! P.A.C.E is our Program for Academic and Creative Enrichment. 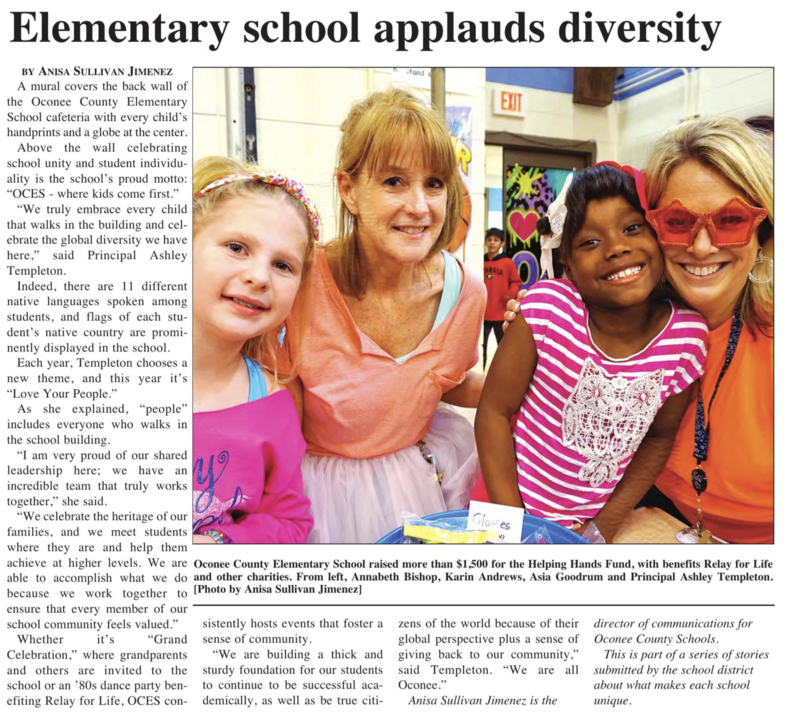 The Oconee County School System recognizes that our students have unique needs and that it is our responsibility to help them maximize their potential and prepare them to become successful, contributing members of society. The mission of our Gifted Program is to maximize the potential of gifted students by providing programs and services that accommodate these differences. For a closer look at what is happening in the P.A.C.E classroom, visit the specific classroom page.